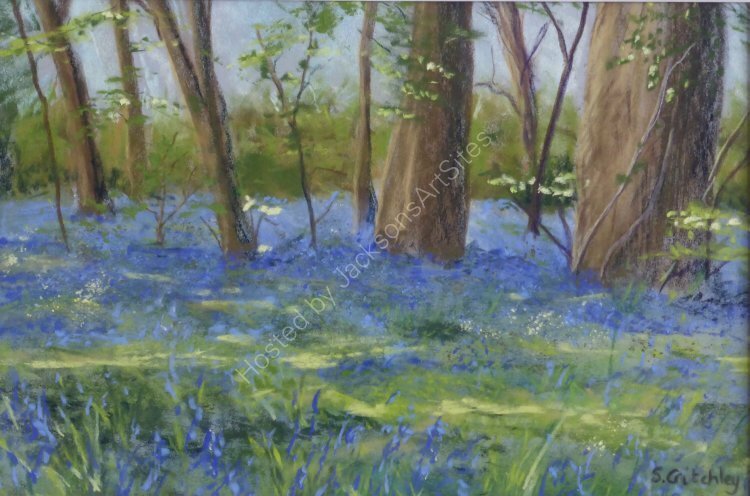 It is spring again and the Bluebells are out in the woodlands Surrounding Godolphin house, a National Trust property. I have to go every year to see them as the hearald the end of the winter and the arrival of Spring. An original painting in soft pastel on Pastelmat, mounted and framed. Image size 31x23 cms.